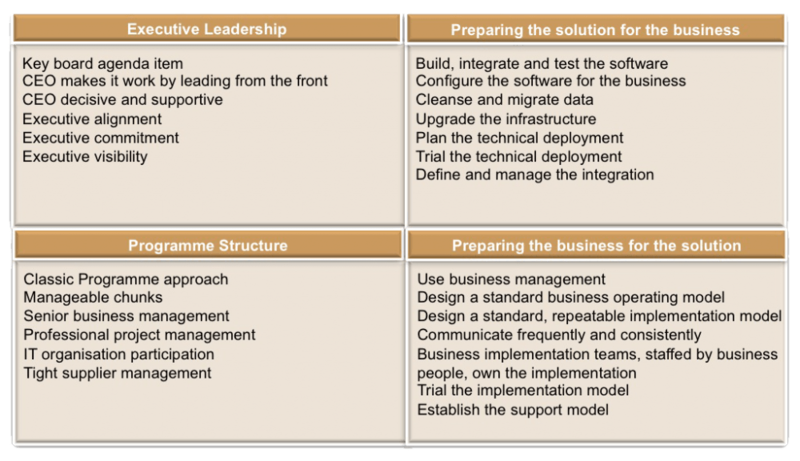 Why do Change Programmes Fail? Most organisations apply project or programme management methods to their initiatives, but any search on the Internet will report that anywhere between 30% and 70% of projects and programmes fail, or are significantly challenged! This triumvirate is fully aligned and works as a team to ensure that not only can a quality technical solution be built for the business, but it is the right technical solution, and the business is fully prepared and ready to adopt it. 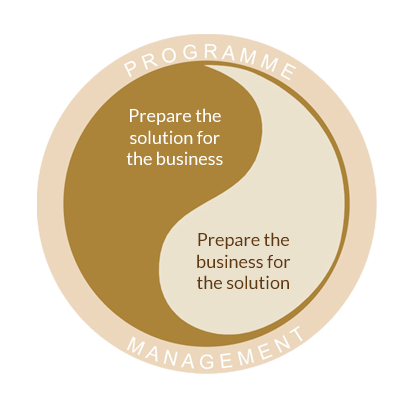 The programme manager orchestrates the teams, working to ensure that risks, issues, changes, concerns from whatever origin can be handled and resolved efficiently and effectively.